How Did Encantadia and Other Fantaseryes Hurt GMA in the Long Term? The upcoming requel of ‘Encantadia’ is worth watching, that is, if you’re really a die-hard Kapuso fan. But while anticipation is high on the new ‘Encantadia’, the broadcasting and financial aspect of GMA leaves a lot to be desired. It’s already 2016, and yet GMA is still way behind its competitors as far as their broadcast standards are concerned. Much of the blame was due to the numerous big-budget primetime fantaseryes that GMA produced in the mid to late 2000s. With so much money invested on these projects, their ability to spend on updated equipment, facilities and other production and talent matters was compromised in the long term. From 2004 to 2011, GMA produced big-budget fantaseryes such as ‘Mulawin’, ‘Darna’, the ‘Encantadia’ trilogy, ‘Captain Barbell’ and ‘Dyesebel’, among others. They were able to succeed in the ratings, but the high costs of making these series soon took its toll on GMA. Factor in the ongoing problems within the Artist Center, GMA’s regional networks, sister station GMA News TV, GMA Films and the public relationship department, and you have a network that is now standing on just one leg. Poor GMA. It’s a pity to see GMA struggle at almost everything in recent years, and now that they’ll produce a requel of ‘Encantadia’, more problems lie ahead. That said, if GMA continues its ongoing slide, they will be in for a rude awakening. The disgruntled employees of GMA Network can finally call themselves regular full-time talents. A decision was reached yesterday by the National Labor Relations Commission. In the statement signed by labor arbiter Julio Gayaman, the NLRC declared that the recently dismissed employees of GMA are indeed regular employees, and should be entitled to security of tenure and all rights and privileges appurtenant thereto. 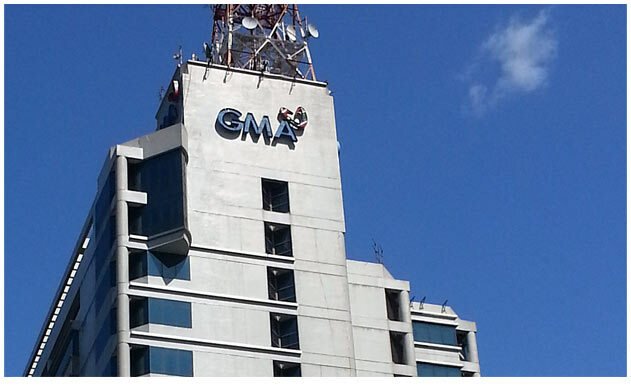 The regularization case was filed last year by the Talents Association of GMA-7 (TAG), which composed mainly of the network’s embattled employees. Most of these employees come from the critically-acclaimed GMA News and Public Affairs division. That said, GMA has no choice but to promote the members of TAG to full-time status, and give them a desired salary and additional benefits. After all, they have been working their butts out in producing the network’s critically acclaimed news and public affairs programs, and they definitely deserve some sort of job security for their hard work. It was a hard-fought victory for the Kapuso network’s labor force. But for GMA management, their problems are not yet over.